I accidentally cracked the screen. Is it covered under the one year warranty that I could take it to their partner (ubreakfix) to have it changed out? If you're referring to the standard warranty that covers defects, then no, they won't cover damage you have caused. If you're referring to some other protection program that you pay for separately, then perhaps. Depends on the coverage you have. Standard warranty won't cover accidental damage, only hardware defects. Samsung Protection Plus must be purchased within 365 days of purchasing your new Samsung device. Ok sounds like he might still be able to purchase it then, BUT sometimes buying insurance AFTER an incident and then using that insurance can be legally questionable. I was just pointing out the fact that you were wrong when you said that you must buy it with the phone. Whether or not you can buy it and make a claim depends on the terms and conditions. 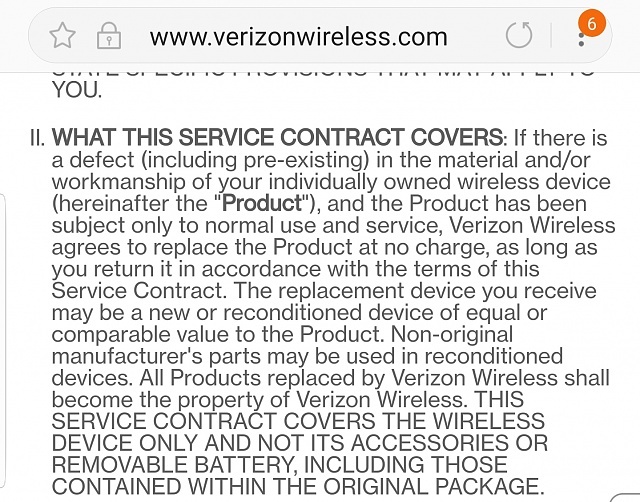 For example, for Verizon extended warranty, it explicitly says that pre existing conditions are covered. I am not familiar with Samsung terms though. Also, even if it's too late this time, he can buy it for next time. So it's still good to know that you can buy Samsung insurance within 365 days. Gotcha Looking at the Verizon info, I still don't think they would cover prior damage, defect YES, but damage? In any event I suggest the OP check the Samsung terms, etc.